When the mighty Virginia Cavaliers, the overall No. 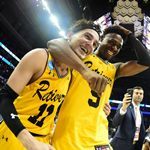 1 seed in the NCAA tournament, entered the Spectrum Center in North Carolina, they were expected to continue the long line of first-seeded teams never to lose a first-round game. Instead, they lost 74-54 in stunning fashion to the UMBC Retrievers, a team that a lot of college basketball fans had never heard of. Virginia was the not only the number one team in the country but also the number 1 seed in the South Regional bracket. They were highly regarded as the favorite pick to make not only the Final Four but to win the NCAA tournament. Their number 16-seeded opponent was the scarcely known University of Maryland Baltimore County, a team that had not made the tournament since 2008 when they lost to No. 2 seed Georgetown. The Retrievers, members and 2018 champions of the American East Conference, were simply supposed to show up, take the loss and go home with a nice cash compensation for simply making the tournament. The match, however, became a perfect storm of clashing styles and it left decided old-school Virginia on its heels from the start. The challenge to respond the Retrievers’ aggressive approach came when Daniel Akin scored down low against Virginia’s more physically imposing defense. This put the Cavaliers on notice that UMBC was in the tournament to put up a fight and the game would not be a cakewalk. The Retrievers found a way to expose Virginia’s defense and exploit it continually catch defenders out of position. A lot of the damage was done in transition as well, as Virginia struggled to pick up their men in a timely manner. They also seemed ill-prepared to defend shooters who were willing to pull from four and five feet behind the three-point line. UMBC ran a very modern offense even uncorking a couple of pick and rolls where a third player set a back-ball screen on the ball screeners man and managed to confuse UVA’s defense to get constant penetration. This strategy allowed UMBC’s ball handlers to repeatedly find open lanes to the rim for easy layups past stunned defenders that failed to communicate and switch. Once UVA found itself 13 points down with eight minutes left to play they panicked on offense and took several ill-advised shots that UMBC rebounded and used to generate several fast-break plays to attack from the wing and shoot uncontested threes. Virginia’s panic and frustration grew when its offense couldn’t get anything going and that combined perfectly to open all manner of shots for the Retrievers. As a result, the lead continued to grow until eventually the biggest upset in the history of the NCAA tournament turned into a 20-point blowout that will be remembered as a game for the ages.